Jamaal Lascelles has said that he remains committed to Newcastle United irrespective of whether they are relegated from the Premier League. The central defender captained the side to a 10th-place finish in the top-flight last season but they are facing a tougher test this time around after failing to win any of their opening 10 matches. 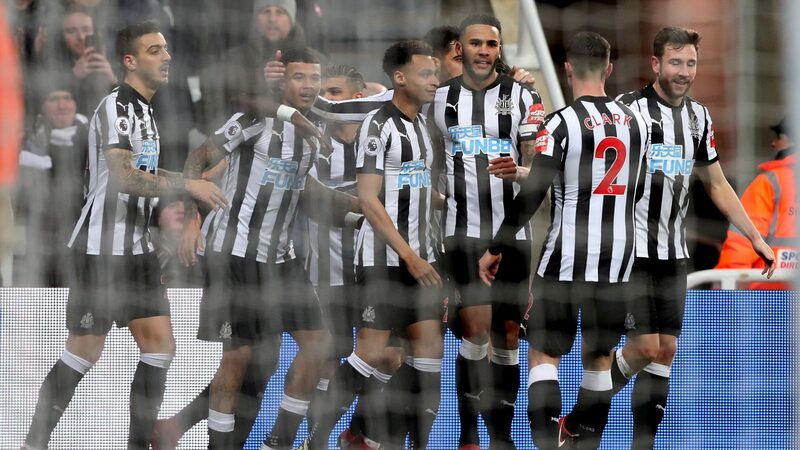 Speaking to reporters, Lascelles was asked whether he would seek fresh pastures elsewhere, should the Magpies be relegated to which he replied:“Would I leave? No. I’d be here. I’m part of this team. If we were to get relegated, I would have been part of that team and I would want to be part of the team that gets promoted. The Magpies have been unfortunate to play the top-six of the previous campaign during the opening 10 matches and this has hampered to them to some extent. Nonetheless, they have been disappointing on the attack front of late with back-to-back matches without scoring but hopefully, they can end the lean run when Watford make the trip to St James Park this weekend. Unlike Rafael Benitez’s side, Watford have made another quick Premier League start and they are currently occupying the seventh position on the table with 19 points. In comparison, the hosts are lying in the drop zone with just three points, two adrift of safety.